I am in no way affiliated with SquareEnix or anything to do with the Final Fantasy franchise. This pattern is not branded as anything affiliated with said franchise. 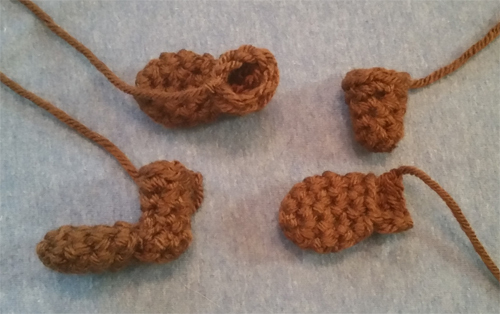 This pattern and dolls created from this pattern may not be used for retail or commercial purposes. 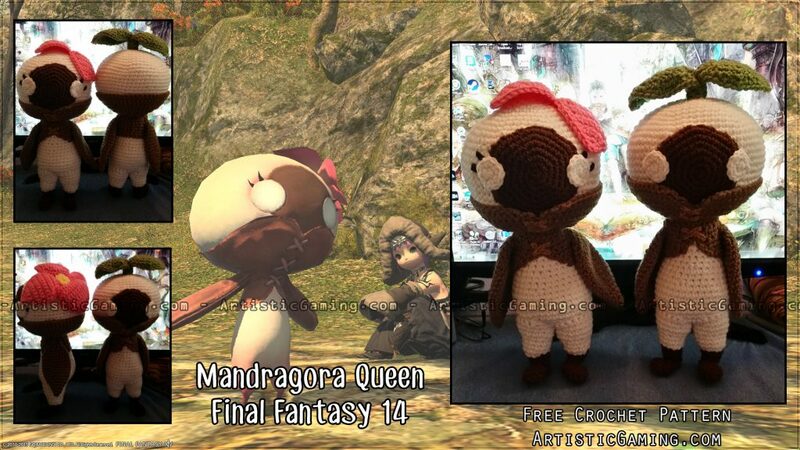 Mandragora is a registered trademark or trademark of Square Enix Co., Ltd. 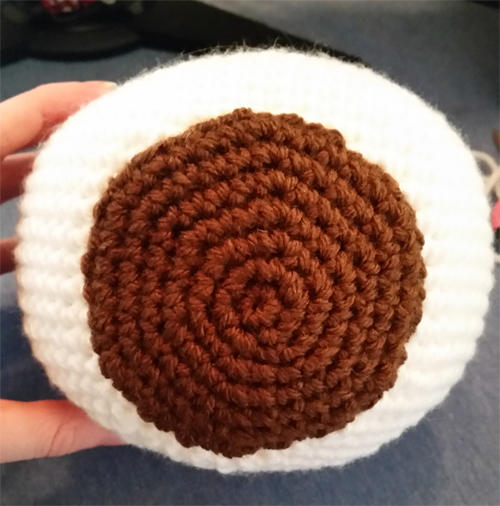 This pattern is an original pattern by ArtisticGaming (August 2015). Please do not claim this pattern as your own. If you wish to share this pattern, you may link to this pattern but please do not reprint it on your site. You may keep a copy for your own personal use but you may not sell or distribute it. If the pattern is used please link back to me as a courtesy between creators. 25. [4sc, 1dec] x 6 (30) Begin stuffing. 27. [2sc, 1dec] x 6 (18) Finish stuffing. 2 slst to even out. F/o. Attach to head. 15. [3sc, 1dec] x 6 (24) Begin stuffing as you go. f/o, leave tail for attaching. Attach to head. 9. CH1, turn. 12 sc. F/o, leave tail for attaching. Stuff. Attach to body. f/o leave tail for attaching. 1 slst to even, f/o leave tail for attaching. Attach both parts together; attach to legs. f/o, attach making crosses up the front of the collar. f/o, leave long tail for attaching. Don’t stuff. Attach to body. f/o, leave tail for attaching. Attach. 2. 3sc in same stitch. f/o, leave tail for attaching. 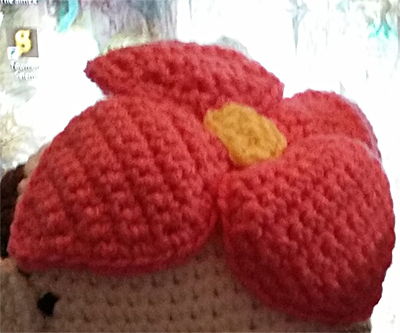 Create a single crochet border around petals with pink yarn. 2Sc in the base corners, and 3 sc at the tip of the petal. f/o, leave tail for attaching. Attach in middle of petals. together. Attach on top of head. And now you can make a twirling army! i used this pattern as a base for eggplant knight!!! i have used this pattern for the basis of most of the minions. thank you so much for putting this up! !